Get your Mum a special present! If it is her birthday, Mothers Day or just because she is brilliant! A Balloon in a Box will be just the thing. 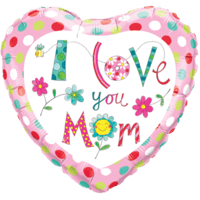 Our range of balloons are big enough to suit any type of Mum and you can send her a single balloon, a bunch of balloons or a giant balloon. We're sure she will love whatever you choose! The only day we don't deliver is Sunday and we can get your gift to your Mum as early as tomorrow. 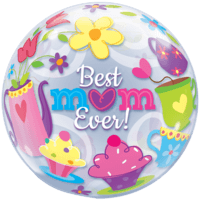 We have an official Mum as one of our balloon decorators and she will ensure you balloon is decorated to the highest Mum-like standard! 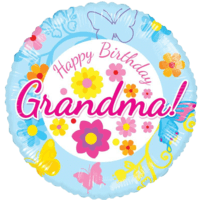 This Superb 18" Happy Birthday Grandma Floral Balloon Gift will intrigue and thrill a lucky family member or friend! Expertly put together and blown up by our in house qualified balloon decorators! 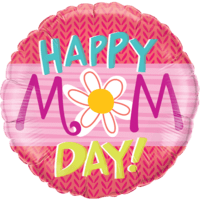 This Superb Happy Mum Day Daisy Balloon Gift will intrigue and thrill a lucky family member or friend! Expertly put together and blown up by our in house qualified balloon decorators! 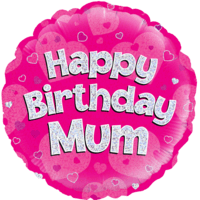 This Superb 18" Happy Birthday Mum Pink Balloon Gift will intrigue and thrill a lucky family member or friend! Expertly put together and blown up by our in house qualified balloon decorators! 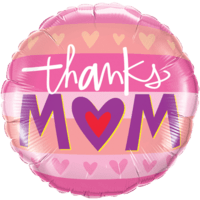 This Superb Pink Thank You Mum Balloon Gift will intrigue and thrill a lucky family member or friend! Expertly put together and blown up by our in house qualified balloon decorators! 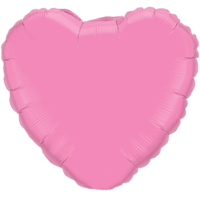 This Superb 18" Heart Pink Balloon Gift will intrigue and thrill a lucky family member or friend! Expertly put together and blown up by our in house qualified balloon decorators! 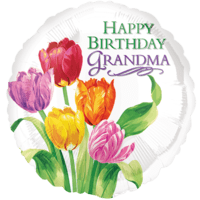 This Superb Flowers Birthday Grandma Balloon Gift will intrigue and thrill a lucky family member or friend! Expertly put together and blown up by our in house qualified balloon decorators! 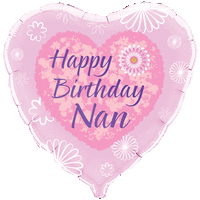 This Superb Happy Birthday Nan Floral Balloon Gift will intrigue and thrill a lucky family member or friend! Expertly put together and blown up by our in house qualified balloon decorators! A charming Rachel Ellen designed 18" heart shaped foil balloon. A lovely and creative way to say I Love You Mum. Ideal for Mother's Day and Birthdays. 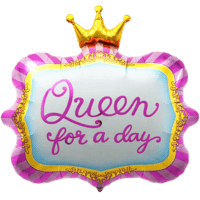 This Superb Happy Birthday Mum Gerber Daisy Balloon Gift will intrigue and thrill a lucky family member or friend! Expertly put together and blown up by our in house qualified balloon decorators! 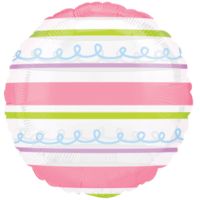 A pretty pastel 18" helium foil balloon. Looks great with balloons in complementary or contrasting colours! Turn your gift into a big and beautiful bouquet! 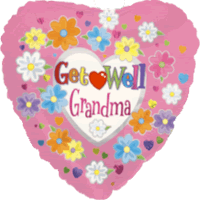 This Superb Grandma Get Well Balloon Gift will intrigue and thrill a lucky family member or friend! Expertly put together and blown up by our in house qualified balloon decorators! 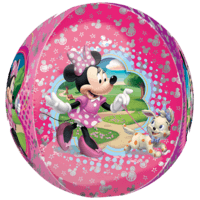 This Superb Minnie Mouse Fun Orbz Balloon Gift will intrigue and thrill a lucky family member or friend! Expertly put together and blown up by our in house qualified balloon decorators! Get the 3-D effect! 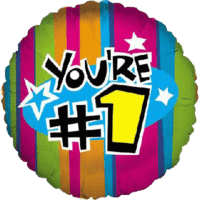 Just add your own message and send this fascinating 24" helium filled Double Bubble Balloon. 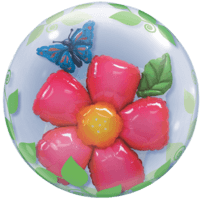 The outside balloon is made from stretchy transparent plastic, encapsulating a flower and a butterfly shaped foil balloon. Floats up to 5 weeks. 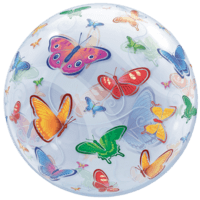 A collection of brightly coloured butterflies, decorate this 22" long lasting bubble balloon. A balloon gift full of joy and lightness! Appropriate for a variety of occasions including Mother's Day, Get Well and Birthdays. As uplifting as a summers day! 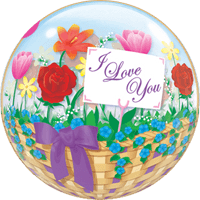 A long lasting 22" giant bubble with a floral display, is sent to say I Love You. A gift that can't fail to please and ideal for a variety of occasions including birthday's and mother's day. Lovely! 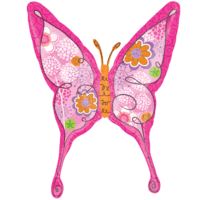 One of our largest and most beautiful butterfly species! 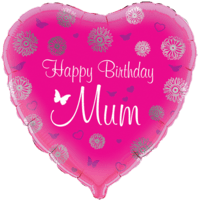 A mega 37" helium foil balloon in floral pink. Great for Mother's Day and summer events.